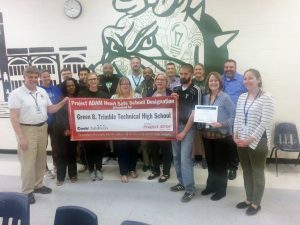 On the afternoon of March 26th, Trimble Tech was awarded a certification and a banner distinguishing them as one of five high schools and one of twenty schools in all of Fort Worth to have and will continue to make sure those students in these schools are as safe as they can be should a Sudden Cardiac Arrest occur. 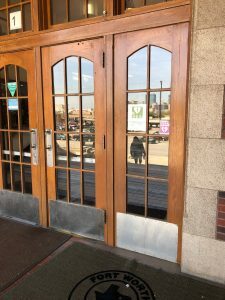 To become a Project Adam Hear Safe School, the school must be able to check of a list of requirements and meet those requirements on a year basis. 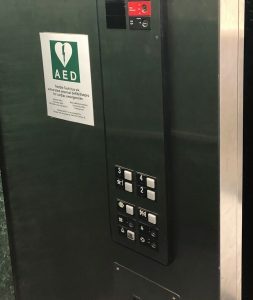 Just a few of those requirements are to have a CPR-AED site coordinator who is identified who oversees the CPR-AED program activities and training. Several years ago I started looking into this and quickly realized that this was too much to take on by myself. 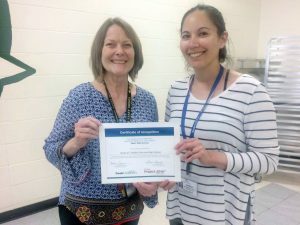 This person who helped Trimble Tech get over the hump is our own Nurse Diana Helms with the assistance of Lee Gendreau. 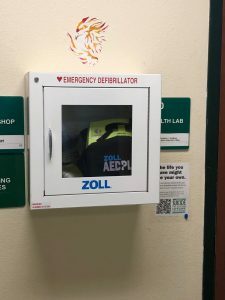 Another key requirement is the placement of the AED’s so the are accessible from any part of the building or campus within 2-3 minutes and that all faculty and staff know where the AED’s are located and know how to access them. 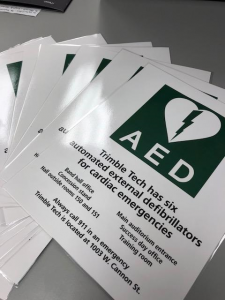 Trimble Tech through hard work has had additional AED’s acquired so there are six AED’s on campus and are spread out throughout campus with signs posted at main entrances, through out the building, and even in the elevator dictating where the AED’s are located at. All the AED’s must have clear signage which ours do. The big part of this designation is having a team of at least 5-10 people who are designated to be our an emergency response team. At Trimble Tech the are called the “Code Blue Team” and we have around 18 staff members spread out through out the building. 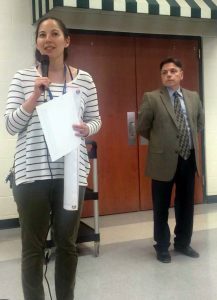 To appease the requirements to be a heart safe school, this team must conduct at least one annual drill. Trimble Tech will be doing a minimum one per semester and even talks of one a month similar to when fire drills are done monthly. An announcement will be made over the PA system as well as a text message that goes out to all the team members exactly where the location of the SCA has happened. Members will head that direction grabbing an AED on the way and in our first drill, upon the announcement being made CPR was being performed on the manikin with 18 seconds and we had five members at the location within 30 seconds. 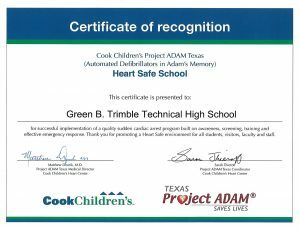 This is a great certification from Trimble Tech as this has been a passion of mine since we had an AED save here at Trimble Tech back in 2009 thanks to two quick acting coaches. 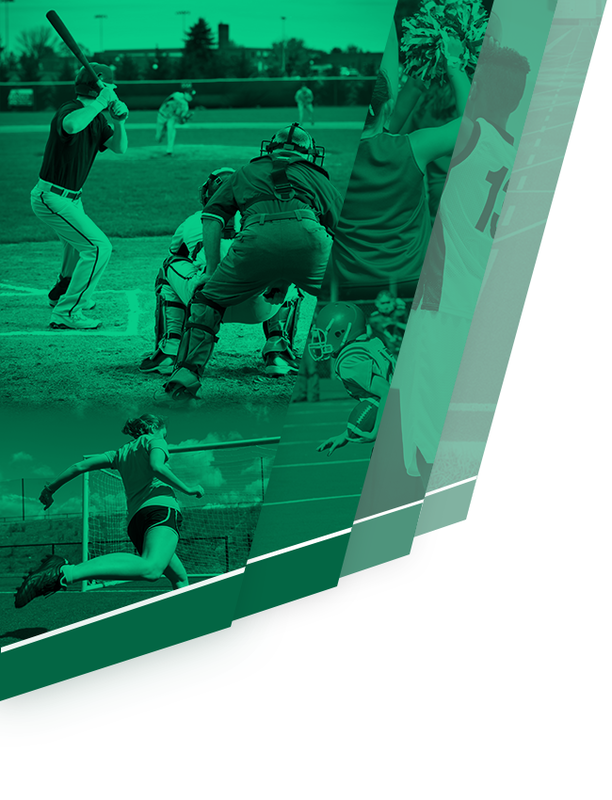 Trimble Tech is now one of five high schools in the district and one of only 53 in the entire state of Texas with this certification. 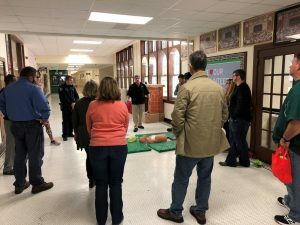 In 2018, eight lives were saved in Project Adam Texas Partner Schools and as of October 2018, 140 lives have been saved in Heart Safe Schools nationwide. 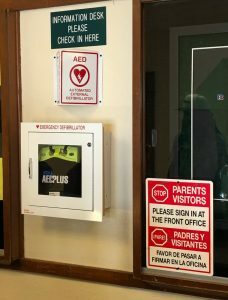 Project Adam is a national non-profit program intended to help schools in all communities build CPR-AED or public access defibrillator programs. It began in 1999 after Adam Lemel, a 17 year old Whitefish Bay, Wisconsin high school student, collapsed and died while playing basketball. 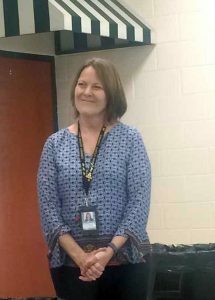 Adam’s Parents, Patty Lemel-Clanton and Joe Lemel, collaborated with Children’s Hospital of Wisconsin to create the program in Adam’s memory. 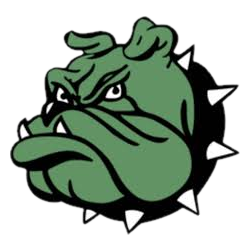 Trimble Tech would like to thank Sarah Thieroff, the Project Adam Texas Coordinator stopping by for the occasion and we look to give you continued updates on how great our program is going here at Tech. 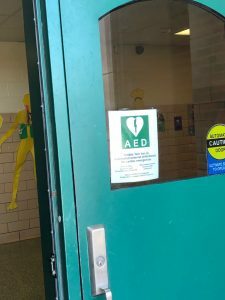 Should the need every arise, Trimble Tech is ready to come to the aid of anybody who may experience a sudden cardiac arrest. Thank you to all of those of you on the Code Blue Team and who made this a reality at Trimble Tech!